While invoking human rights and international law, most Polisario supporters follow a set of politico-religious calculations. 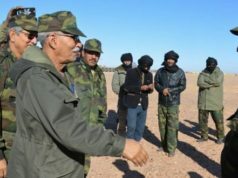 On February 24, a 17-member high-profile US delegation visited the Tindouf camps. The delegation was pictured during a meeting with the Polisario Front leadership, prompting wild speculations about the underlying reasons of such a high-profile visit, not least from a US senatorial delegation. 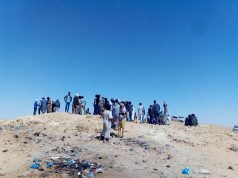 In their coverage of the visit, pro-Polisario outlets boasted about the US’ Senate being on the side of the “Sahrawi cause.” That misreading of the US position in the conflict came straight from Senator James Inhofe’s comments at a news conference after the delegation’s meeting with the Polisario leadership. 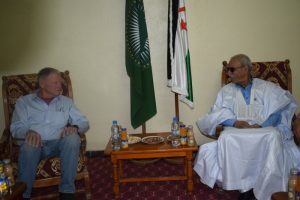 A known devotee to the Polisario’s Western Sahara “cause” and the sitting chairman of the US Senate Armed Services Committee, Senator Inhofe led the 17-member delegation which subsequently met with high-profile Algerian and Sahrawi officials, including the self-styled president of the Polisario-administered territories Brahim Ghali. “President Trump’s commitment to the freedom of this people that he will undoubtedly recover,” he said. 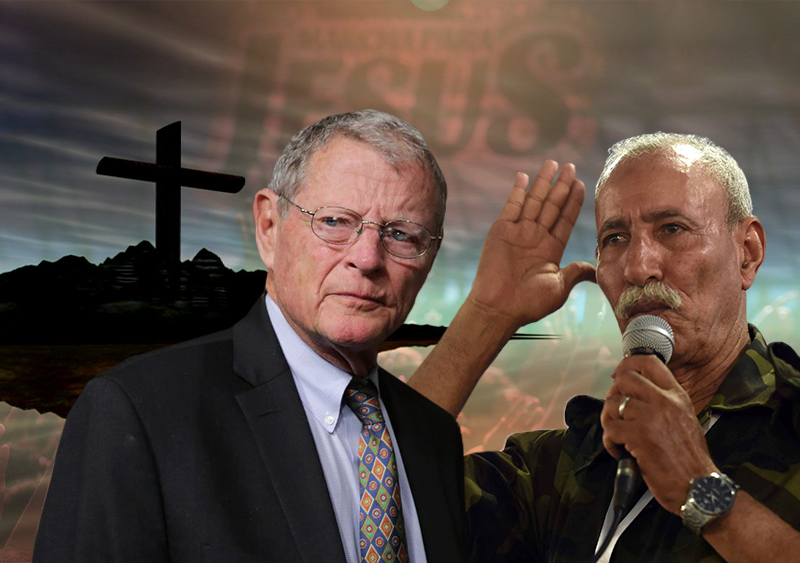 Infusing his statements with the usual Morocco-damning tropes of “colonization,” “occupation,” referendum, and self-determination,” Inhofe said that his visit to the camps was a reflection of his struggle alongside downtrodden and disenfranchised Sahrawis for human rights and dignity. The US, the UN, and the entire international community, he explained, should wait no longer to make Morocco bow to international laws and principles. The “Sahrawi cause,” he explained, is one of rescuing a helpless people from the jaws of Morocco’s “colonial and repressive” regime. While the senatorial visit and the telling picture of the Inhofe-Ghali bromance did not pick up in Moroccan media outlets as expected, the Senator’s rhetoric is the kind of impetus that has been driving the pro-Polisario legions in the US and around the world. The answer, according to scores of studies on US evangelists’ decades-long involvement with Sahrawis, is that the Senator’s fervor for Western Sahara has more to do with performance and ideology than principles. 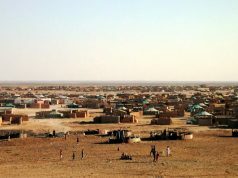 While the urge to assist and help is commendable on many grounds, Inhofe’s activism in favor of the Tindouf camps is the culmination of a perceived deal with the Polisario leadership. The suggestion is that, as a die-hard Evangelical Christian, the Oklahoma Senator is throwing his political weight behind the “Sahrawi cause” in order to help the decades-long Evangelical overtures in the camps—and the Sahrawi imaginary. The allegation is heavy, perhaps even discourteous; it supposes that Senator Inhofe’s indictment of Morocco’s Western Sahara position is more about ideological posturing than genuine protestation. But such allegations are not without precedent. Over the years, researchers have used expressions like “holly humanitarianism,” “disaster evangelism,” or faith-based humanitarianism, among the most widely circulated, to explain the presence in Western Sahara of religion-driven donors and sympathizers like James Inhofe. 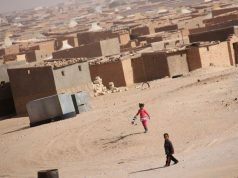 Since establishment in 1976, the Tindouf camps have exclusively depended on material and financial assistance from the UN-linked organizations and a number of secular and faith-based NGOs. 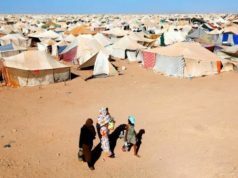 Documenting the ways in which donors navigate the needs of Tindouf refugees, a number of studies have nearly unanimously established that “Holy humanitarians” have historically engaged in activities other than providing assistance. In the Western Sahara context, the Polisario leadership “ingratiates themselves” with Evangelists, green-lighting the former’ desire to establish churches in the camps and asking in return that they lobby in their favor in the US and on the international stage, according to Elena Fiddian-Qasmiyeh, who has conducted some of the most insightful studies on the politics of Western Sahara-related humanitarian assistance. The apparent deal between zealous evangelists like Senator Inhofe and the Polisario Front,” as Fiddian-Qasmiyeh put it in a 2012 working paper, is underpinned by each party’s avowed desire to advance its own interests. The paper documents Inhofe’s role as one of the most prominent figures among Western Sahara’s “American brothers and sisters,” groups of US evangelists who have organized numerous events in favor of the “Sahrawi cause,” including collective prayers and worship concerts. While UN and secular humanitarians generally limit themselves to discharging their duties as assistance providers, Evangelical humanitarians go beyond the primary goal of humanitarianism, coupling material assistance with spiritual and religious comfort. Rather than an instance of disinterested and unconditional support to “the Sahrawi cause” its proponents purport to fiercely espouse, evangelism-inspired assistance workers see in the Tindouf camps a fertile ground for proselytizing their faith. Help, therefore, is provided in the hope of medium to long term rewards: Conversion to Christianity of as many Sahrawis as possible. With “implicit and explicit conditionalities attached to the provision of aid,” Fiddian-Qasmiyeh wrote in another paper, assistance first and foremost follows the ideological priorities of the donors. Inhofe, a key member of the mainly Republican-composed US Senate Defense Forum Foundation known for its pro-Polisario sympathy, has no qualms about lobbying for the pro-Polisario claims at the US Congress. The problem with the senator’s position, or the obvious religious underpinnings of his human rights-saturated discourse in the Sahara context, is that he loses his ardor for international law principles when taking stance on the Israel-Palestine conflict. Unlike in Western Sahara, where the UN Security Council does not refer to the disputed territories as “occupied” and where there is disagreement over who “the authentic Sahrawis” are, there is a fairly robust agreement in the Palestine-Israel case over the status of Gaza and the West Bank. This remarkable change of discourse, experts have argued, boils down to the fact that it is ideology—religious or political—rather than adherence to human rights principles, that governs the politics of Western-Sahara bound humanitarian assistance in many circles. Fiddian-Qasmiyeh describes this practice as “selective inclusion,” implying that, in many instances, humanitarian assistance—financial, material, and logistical—is provided insofar as the recipients adhere to the politico-religious conditions imposed by the donors. Another pro-Western Sahara recruitment trope in Evangelical circles is the religious idealization, or romanticization, of the Tindouf camps. In the evangelical vocabulary, Tindouf is not only a site with people in need of external succor. Rather, it is a non-Christian place incredibly welcoming to Christian ethics and values, which also makes it a place where Christianity can establish itself and potentially thrive. Chief in this narrative is the perception that despite its authorities’ insistence on religious tolerance and a history of peaceful accommodation of faiths other than Islam, Morocco is far from being a bastion of inter-faith dialogue. The resulting idea is that Christianity will only thrive in Western Sahara when it is not part of Morocco, where Islam is the overwhelmingly dominant and visible religion. This was much obvious in March 2010, when Morocco expelled hundreds of American and European Evangelicals for proselytizing to orphan and abandoned children under their care in the village of Hope in the Fez region. A 2004 feature article in the Christian Science Monitor hammered that point home in a far more telling pro-Polisario rhetoric. Few things are as close to Evangelists’ hearts and view of religion as interpretations that put each believer’s individual relationship with God at the heart of the religious experience. The Polisario Front understands this, and has heavily capitalized on it. According to Fiddian-Qasmiyeh, the group frames its discourse in line with its perception of its supporters’ priorities and “normative preferences.” When dealing with American evangelists, the group foregrounds its tolerant and secular approach to religion. Toward an end of the Western Sahara conflict? There has been a mounting impetus for a frank political dialogue to settle the Western Sahara dispute under the auspices of the UN Security Council. For the first time in decades, the UN-led process to settle the dispute has convinced Algeria and Mauritania to take part in negotiations and peace talks as full participants in the trust-building and settlement discussion process. The four stakeholders are just coming out of a UN-led roundtable in Geneva. UN diplomats have expressed resurging confidence in a prospective end to the dispute, despite perceptions that longstanding ideological fervor may obstruct the newfound optimism. As ideologies tend to simplify complex realities, ideologized accounts of any crisis, much less one as complex and historically multifaceted as the Sahara dispute, often tell partisan truths, reinforcing listeners or receivers’ already entrenched biases. “Western Sahara is and has always been part of Morocco….The ‘Sahrawi people’ does not exist. 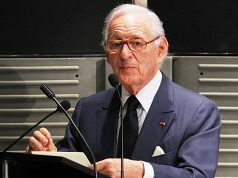 It is the creation of Algeria and a large part of the Spanish left which are still not ready to come to terms with the fact that the territories are Morocco’s,” Spanish politician Jorge Verstrynge Rojas, who is close to pro-Polisario circles in Spain, recently commented. Rojas’s point, as he went on to highlight, was that, in the Sahara crisis, a clash of competing ideologies and revolutionary zeal has finally sidelined historical validity, throwing it in the dustbin. As much as ideologies inform knowledge and decisions, they also obfuscate, oversimplify, and sometimes confuse otherwise straightforward matters. As history is twisted and facts become mere tools at the service of one’s own truth, Rojas seemed to suggest, Morocco still has a lot on its public relations plate in a world where it has become fashionable—and virtuous—to come to the rescue of the oppressed, or the wretched, no matter how historically or factually invalid their claims are. In a global order that fetishizes revolution, history easily becomes a casualty of the urgency to do something about anything. Amid the confusion, Rojas and some other analysts have suggested, the most effective answer to Western Sahara’s long-standing stalemate lies in foregrounding both historical context and deft diplomatic maneuvering. For Rojas and those who think like him, there is very little prospect of sustainable settlement for Western Sahara so long as ideological and revolutionary outbursts whitewash historical relevance and factual evidence. Given the international community’s increasingly genuine desire to once and for all broker a lasting and mutually acceptable political solution in Western Sahara, a reading such as Roja’s may be overly pessimistic—and unwelcome. Whatever scenario one pictures, however, noted Francois Delattre, France’s Ambassador to the UN, brokering the necessary compromises will take time. “I think one of the lessons in diplomacy, and on this issue in particular, is each step at a time,” Delattre said during meetings to prepare the second Geneva meeting.